Singapore will soon be home to a new $2 million attraction. Considered the world's largest tethered balloon, it will be inflated on Wednesday night. It may seem like a strange sight - 40 grown men and women fussing over layers of what looks like plastic. 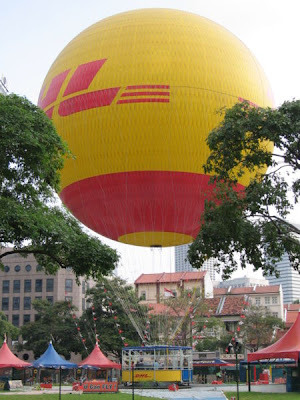 But more than 12 hours of hard work later, it will morph into what's called "The DHL Balloon." 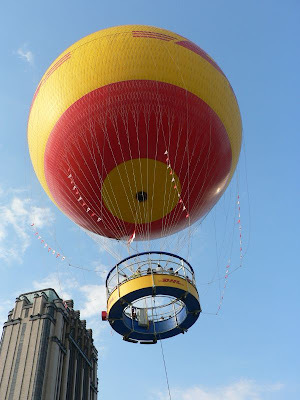 Cleared by the Civil Aviation Authority of Singapore to fly 40 storeys high, the balloon will start taking passengers. 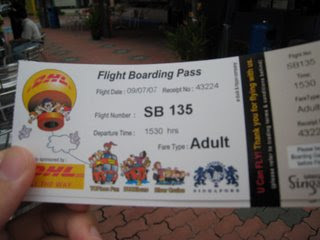 At $23 for a 10-minute ride for adults, and $13 for children, passengers will be sent floating up into the air on a balcony. They will have a 360-degree panoramic view of the Singapore skyline. Some 250,000 people are expected to take to the skies in its first year, generating some $3 million in tourist receipts. Manufactured in France, this balloon system is the only one of its kind approved and certified as an aircraft.